That's right folks! You can book extended benefits covered massage therapy at Saul's starting September 15th! Leslie Sagara will being joining us all day Fridays and Saturday mornings offering her healing effective massage skills. Leslie has over 20 years experience as an RMT and is also certified in Matrix Re-Patterning (gently working with the skeletal system). 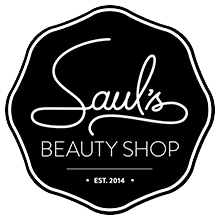 To welcome her to Saul's and our amazing clients (you!) if you book a massage and a Custom Skincare Treatment (any time amount) you'll get half off your skincare treatment!